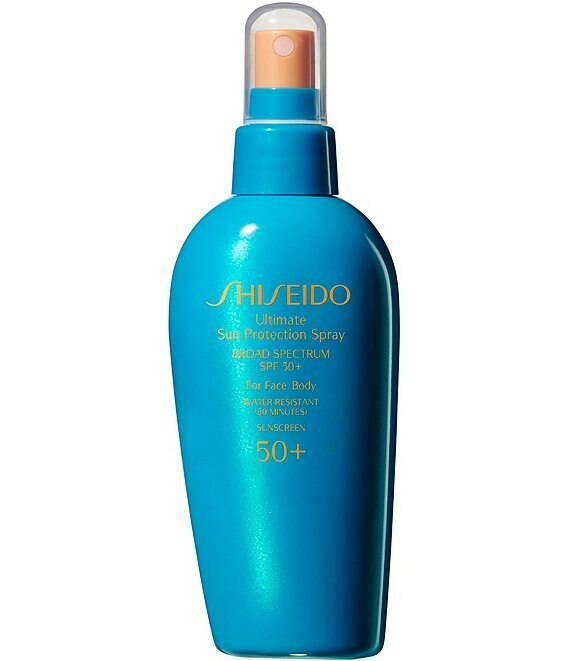 A convenient spray sunscreen that allows quick, easy application over large areas of skin, especially hard-to-reach areas. It provides broad spectrum protection, protecting skin against powerful UV rays, while skincare ingredients maintain skins beauty. With its light texture, it feels comfortable with no stickiness. Water resistant and used for face, body and hair. Sprays in all directions--even upside down!